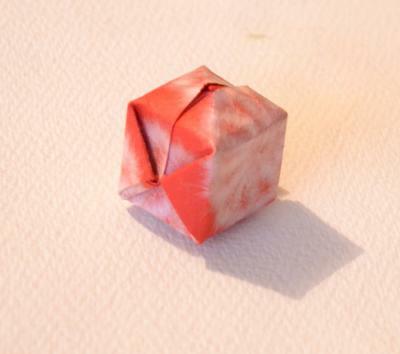 I remembered that magazines really make some great origami paper - at the time the only thing that I could remember was how to make the ball/balloon. I made like four of them and blew up two... I tossed em to the kids and dad was happy for the entertainment. I showed them how to blow em up and told them that dad could show them how to make them later. I had my appointment and they were still there laughing and playing football on the table. The dad said his wife had come out to say the older son was being admitted. The kids were happy to see mom come out and of course showed her what they had and what they had learned. I have always thought of that moment and it makes me smile to this day. Thanks Gale for this awesome story about your real life experience. I feel happy to see how you help someone to make their time beautiful.The ukessayservice.biz is also good for the students and it always helps them in their education. When you choose font for your t shirt, see that it matches with mood of the message e.g. to convey happy message, your font's has to match your message. Once the motto of t shirt has been designated, see that the words don't have any improper spaces; otherwise T Shirts can look improper. Another place one has to use caution before selecting t shirt is to ascertain the road spacing between texts. If the spacing is improper, one cannot scan the motto simply. These ar some basic tips one has to think about. Way to go, "antsy kids"!